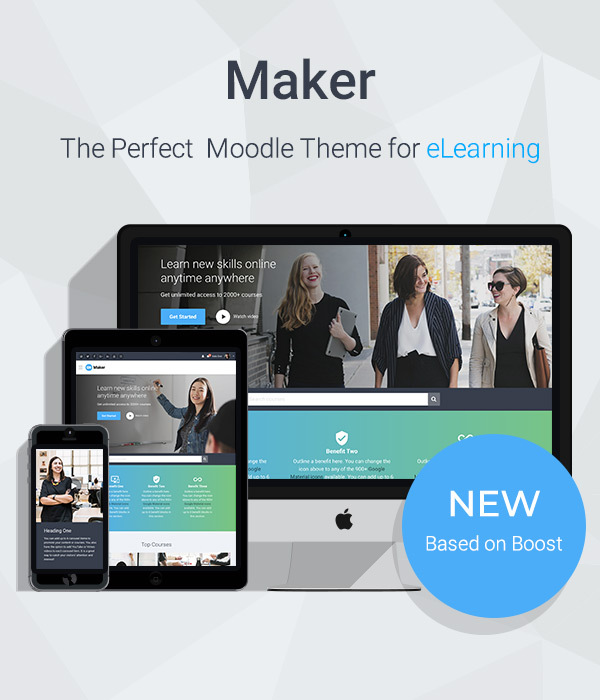 We’ve added RTL language support in our Moodle theme Maker (v2.2 for Moodle 3.5). If your Modole site is in an RTL language (eg. Arabic), you can now use the beautiful Maker theme for your site. Under the “General Settings” tab, you’ll find an option called “RTL language mode”. Tick the check box for that option and save your changes. Note: if you switch your site to a non-RTL language you need to disable the RTL language mode in the settings.